Looking to enjoy some time away with the whole family? 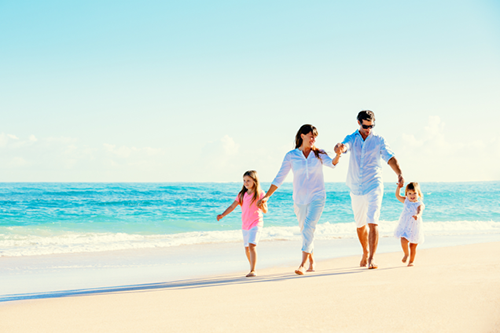 Make planning your vacation easier with one of Webjet’s great family holiday packages. Whether you’re travelling with your little ones in tow, a couple of teenagers or with your extended relations, Webjet offers plenty of great family holiday packages to match your budget and travel preferences. Families come in all shapes and sizes, meaning that every family holiday is bound to be different. Regardless of if you’re travelling with your children, your grandchildren, your nieces and nephews, or even your children’s friends, you’ll find no shortage of domestic and international destinations perfect for enjoying some family holiday fun. Take your pick from sunny beach breaks, exciting city stays and almost every other holiday experience in between, and find an escape to suit both you and the little ones in your life. Spanning from budget friendly stays through to serviced apartments and 5 star hotels, there’s a wide variety of accommodation on offer to suit most families. Find accommodation to match your budget, your family’s preferences and your holiday length, be it a short break, an extended stay or anything in between. Help make your dollar go further with one of Webjet’s great family holiday packages and enjoy additional extras such as free wireless internet, breakfast buffets and free parking. Simply choose your accommodation, select your travel dates and save.